I started this blog a couple of months ago, and have been busy and stressed almost the whole time, waiting, anticipating, today. At 8:05am this morning I boarded an Air Canada Rouge flight from Toronto to sunny, gorgeous, welcoming Havana, Cuba. By 1:15pm I had kissed my girlfriend, dropped off my valise, and we made our way to where the Ritmo Salsa Festival is being held. you see, Liza (the girlfriend of whom I speak) is a huge lover of salsa dancing. And even though I don’t dance, it is how we met… kinda. More on that another time. ‘But Mitch, if you don’t dance, and you are not registered for the Ritmo festival, why did you go with her?’ I’m glad you asked. You see, the festival is being held this year at the Melia Cohiba hotel on the Malecòn in Havana… and what else is there at this fabulous hotel? There is a store and lounge called La Casa Del Habanos… or LCDH to the veteran cigar smokers. And so, once I dropped Liza off at her dance class, I made my way over to the lounge. I ordered a cappuccino, I bought a custom rolled Siglo VI, and I sat down to begin MY relaxing vacation. As a cigar blogger (and YouTuber, I suppose), I am in the Mecca of my hobby. This is not my first trip to Havana, nor even to this LCDH. I recognize the people, I remember fondly my first visit here, my first custom rolled cigar here. They may not be quite as good as my very favourites, but they are wonderful. 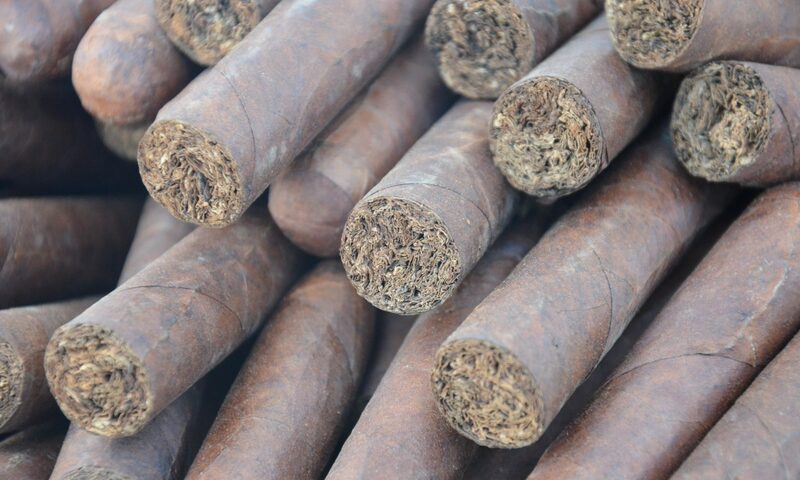 Over the course of my time in Havana and Varadero I will smoke a lot of cigars. I will write about some of them, most I will not. One thing is for certain, I will enjoy every last puff. When I stepped onto the airplane this morning it was about 6C degrees in Toronto. I did not confirm this, but it must be around 33C and sunny here. My ex-wife (a fair-skinned redhead) would not enjoy it at all. I, on the other hand, revel in it… but it is not only the weather that draws me to Cuba. The people, the atmosphere, the cigars, even the rum are, for me, my favourite ways to escape the realities of life. I am under no delusions that life for the Cuban people is fabulous… but for a tourist, and especially for a cigar smoking tourist, the tropical island is heaven on earth. Our first few days in Havana will be a combination of food, fun, friends, and history. I love walking around Habana Viejo and seeing the place where one of the earliest settlements of the new world started. We will, when Liza is not dancing, enjoy spending time with friends old and new, lavishing in the architecture of this amazing city that, until recently, Americans were not able to visit. I will see friends like Jiolys, Alejandro, Andres, Cathy, Farrah, and so many more. We will enjoy the music, the culture, the tourist life. On Saturday we will migrate a couple of hours down the coast to a Varadero, where we will spend the week ‘beaching.’ The resort we are going to is not new to me, and I am looking forward to introducing Liza to my friends there. We will go into town to see more friends, enjoy a few good ‘non-resort’ meals, and probably let Liza do some shopping. I will not be writing about every place we visit… but I will be visiting a lot of cigar stores – mostly LCDH (government) stores. I will try to have a cigar at each one, and of course I will write about each. Most of the ones we will visit I have already been to, and while they are all under the same banner, each has a very different feel to it. That, my dear reader, is what I will try to convey to you in this series of articles. So light a cigar and smoke along with me. Wherever you are, whatever the weather, I hope that, through my words, you can get a feel for the Cuban rhythm. It is not as fast-paced as life in the big cities… life here runs on Cuban Standard Time. A little slower, a lot more relaxed, and much less politically correct, Cuba is a spectacular country for a change of pace. That is probably why there are so many different vitolas of cigars here. I will likely have one of each!